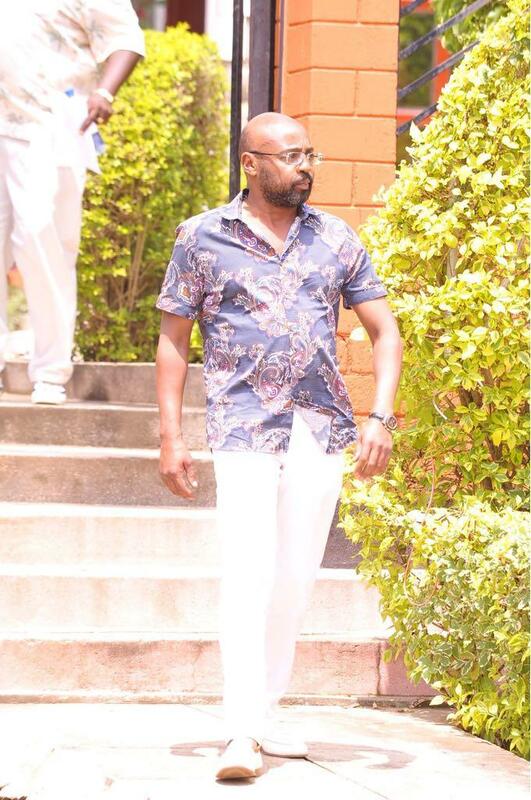 Media mogul SK Macharia has lost his son in a freak accident. John Macharia died on Thursday night after being involved in a freak accident. John succumbed to his injuries on Thursday night while undergoing treatment at Karen Hospital. 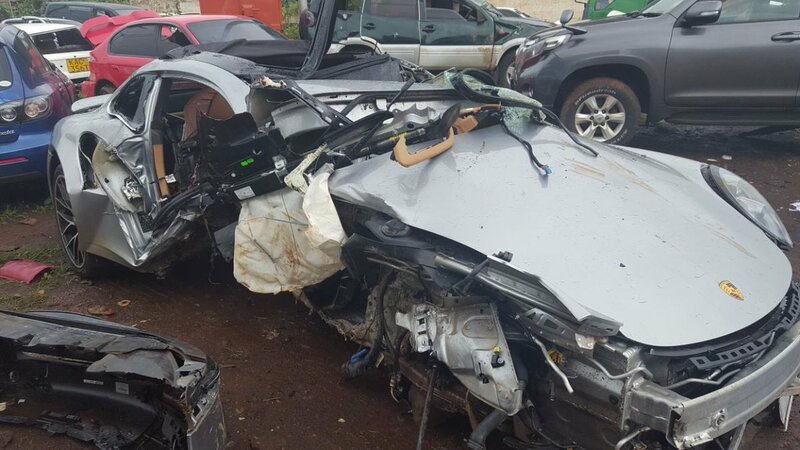 He was rushed to the hospital after he crashed his Porsche Cayenne 911 Turbo S along Southern bypass. John Macharia is said to have been speeding when he lost control of his super car and crashed it. The accident happened around 10pm on Thursday. The German machine was totally wrecked in the accident. 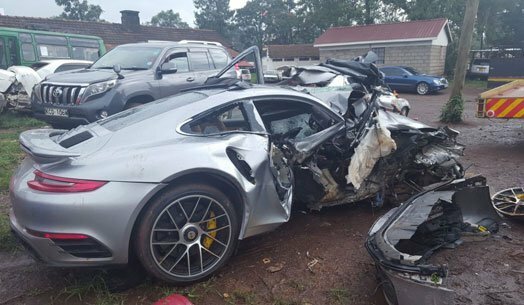 The car Porsche was hauled to Karen police station, the extent of the damage became evident as daylight broke. 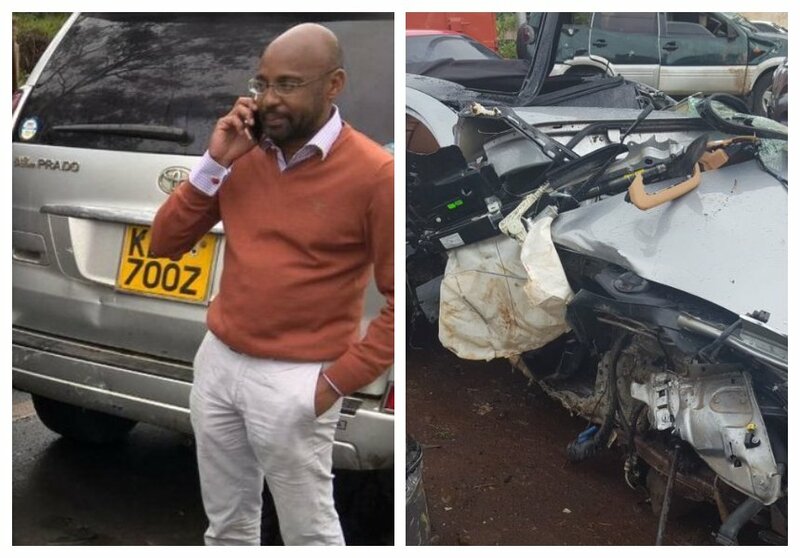 John Macharia had previously been involved in another accident while driving his Porsche. SK’s son was arrested and charged with drink driving in November 2016.